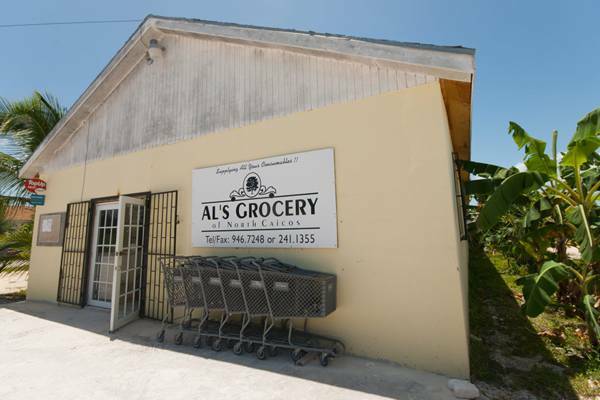 Al's Grocery in Bottle Creek, North Caicos. Found near Bottle Creek Village, Al's Grocery stocks groceries, dry goods, frozen foods, cold drinks and general supplies. Al's Grocery is one of the larger stores on the island.